Autumn is on its way but according to local recruitment experts, Jersey’s jobs market is still heating up despite an increase in the number of people registered as unemployed. The Registered Actively Seeking Work figures for Q3 2018 show a rise in the number of people registered as seeking work - with a seasonally adjusted total of 100 more than Q2 2018. 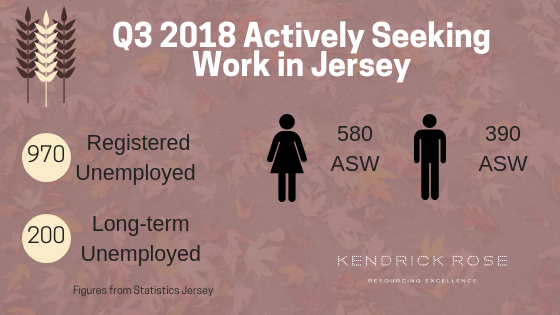 However, this is lower than the same period last year, with 10 fewer people registered as Actively Seeking Work (ASW) than in Q3 2017. This quarter’s figures potentially reflect changes in Income Support criteria relating to parents with young children starting the current academic year, rather than a decrease in available jobs in Jersey, with local recruitment firms continuing to see a rise in new roles. 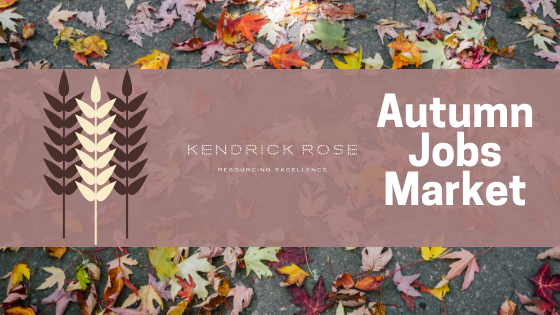 Shelley Kendrick, Managing Director, Kendrick Rose, an executive recruitment specialist, said: “The recruitment market in Jersey is even hotter than six months ago. We’ve seen an increase in new vacancies for roles in Compliance, Funds, Business Development, Marketing and Private Client, as well as a rise in openings for Project Managers and Business Analysts. “Summer was very quiet – everybody enjoyed the glorious weather. But the minute the schools went back in September it was all hands to the decks with lots of activity in the market. 970 people in Jersey are registered ASW, with 200 people registered as long term unemployed - seeking work for more than 12 months. The total of long term ASW is 10 up on the previous quarter but is 70 down on the same period last year. 290 people in the Island are also classified as underemployed. The greatest increases in ASW this quarter were for people aged 25-39 and 30-34, with women aged 30-34 making up the largest group of people registered as unemployed. Shelley said: “We are still speaking to people in Hospitality who have serious concerns about the lack of availability of staff. It is less of an issue for the sort of roles we deal with but in a location such as Jersey, everything can eventually have an impact.